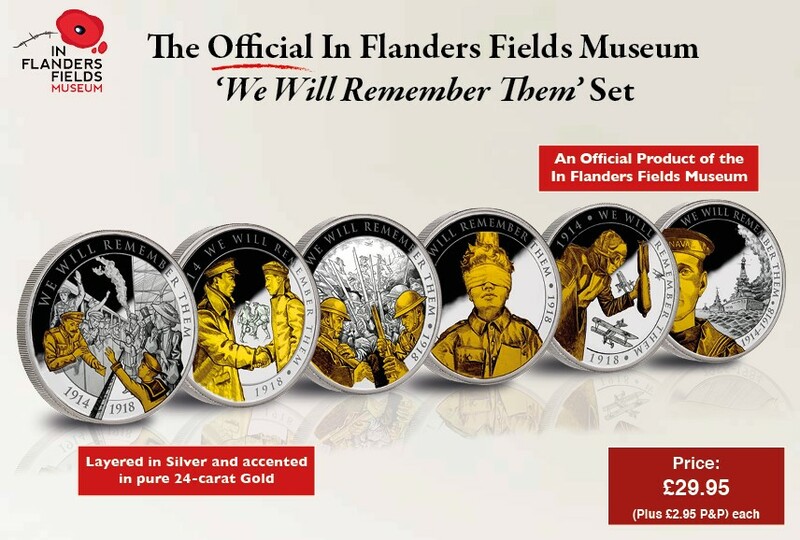 The Official In Flanders Fields Museum ‘We Will Remember Them’ Set pays tribute to the most solemn of promises: to remember the fallen. Each coin has been layered in silver, accented in pure 24-carat Gold and struck to exceptional proof quality. The next coin in the set can be yours for the price of just £29.95 (plus £2.95 P&P). Payment will not be due until you have received your coin and have made the decision to keep it. The remaining coins in the set will be sent to you in convenient monthly intervals for the price of just £29.95 (plus £2.95 P&P) each, entirely on approval and without obligation. You stop receiving the coins at any time.